Terry Brown back at Capilano University late 2018, having left for new adventures in the mid-’80s. Former Geography lecturer Terry Brown jetted over from Australia to visit former colleagues and tour the campus, back in September. “I had some absolutely wonderful years there, and have wonderful memories,” he said. 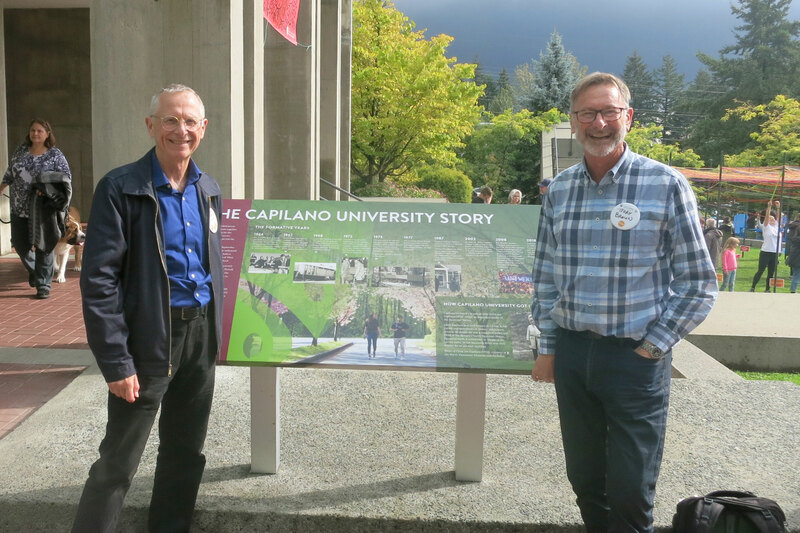 “When I returned for the 50th celebrations I immediately saw that Capilano University had not lost that important atmosphere. Brown began teaching at the then Capilano College in September 1974 working alongside characters and innovators. In 1984 Brown took off for new adventures in Australia with his then wife, landing a position teaching outdoor education at Brisbane College of Advanced Education, Queensland. He was soon running fieldtrips to some of the most breathtaking locations on Earth, including the Great Barrier Reef and the mountains of New Zealand. But there was a change of scale in 1990 when his college was taken over by Griffith University, which currently boasts 50,000 students across five campuses. Brown retired aged 60 in 2011, by then lecturing in business. Published widely on visitor management issues, he’s currently involved in a Ministerial Scientific Advisory Committee for the renowned Fraser Island World Heritage Area.